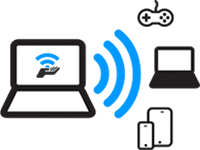 Connectify Hotspot is a desktop application that allows a user to share PCs internet connection with smartphones and friends. Make sure that your laptop is connected to the internet and Wifi is turned ON. 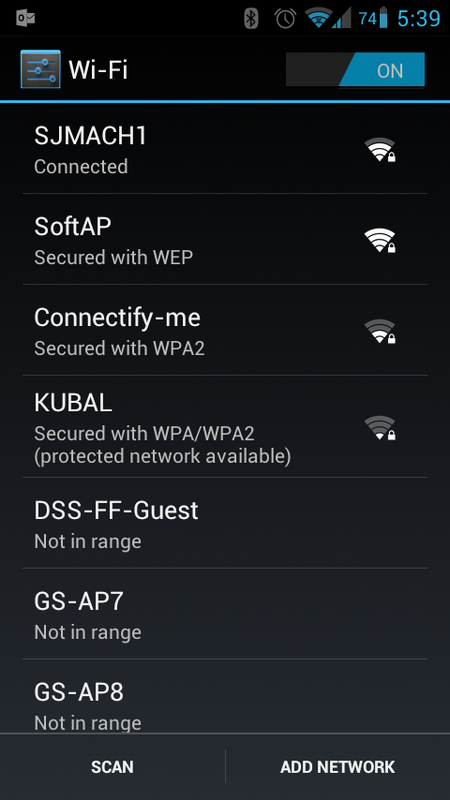 Give a name to the new wifi network and setup a suitable password and note it down. Make sure you have enabled Wifi on your smartphone. 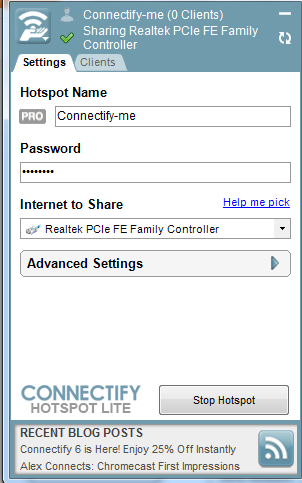 You can now connect to the newly created Wifi network which was created in Step 1. The free lite version allows restricted features but if you need additional features you can purchase the paid version.